Small in size, but immensely durable, the Breville Knock Box Mini is great for the at home barista that may be short on space, but heavy handed with puck removal. No need to hold back with this little guy! 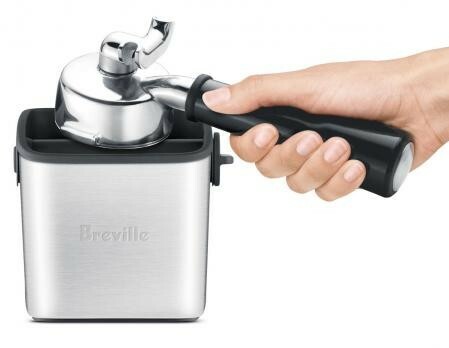 Breville specifically designed the Mini for 'aggressive' use and easy cleaning. 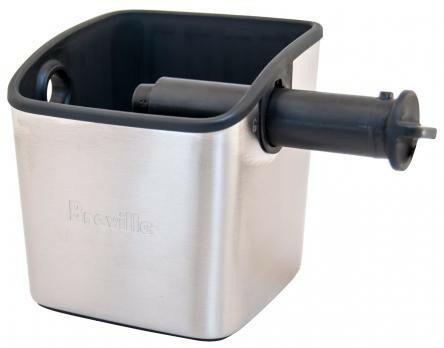 Once you have a nice pile of pucks, simply unlock the rubber knock bar from the outside of the Mini and completely remove for easy puck disposal and overall cleaning. 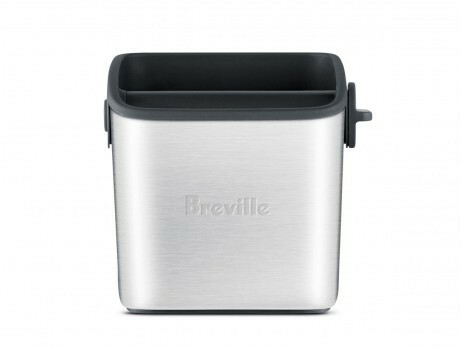 Anti-Slip Bottom - Thanks to the anti-slip rubber bottom, the Breville Knock Box Mini stays put when stakes are high and you just can't get that puck out!